Enjoy Turkey travel photography and fall in love with Turkey tourism. 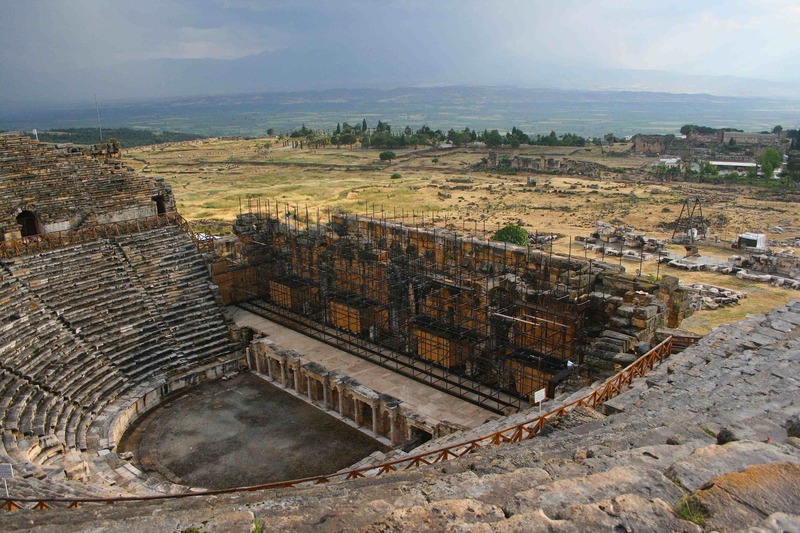 Visit Hierapolis, Turkey. Hierapolis is a spectacular place to take travel photographs. As the threatening rain clouds moved away from Hierapolis and Pamukkale after dousing us, the sky cleared, giving enough light to illuminate the Great Theatre at Hierapolis, built by Septimius Severus himself. Click the facebook icon to follow Kevin Rushworth photography on Facebook.